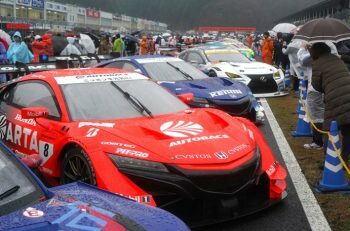 Overnight showers of sleet and snow, near-freezing temperatures, and intermittent rain weren’t enough to cool the enthusiasm as the Autobacs Super GT Series gathered for the first day of their first official two-day preseason test at Okayama International Circuit this Saturday. The proceedings were delayed by a half-hour due to the sleet and snow that hit the area overnight, causing hazards for travelling spectators and coating the trackside in a light coat of snow. Air temperatures of 7°C and track temperatures as low as 11°C greeted the teams and drivers when the first session got underway at 10:20 JST, thus, the times would only continue to keep tumbling as the session went on. Three red flags halted Session 1, including an incident involving defending GT500 Champion Naoki Yamamoto at the Hairpin Curve. The 2018 GT500 and Super Formula Champion were pushing to be the first driver to crack the 1-minute 20-second barrier on the day, before beaching the car in the hairpin. The #1 Raybrig NSX-GT that he shares with Jenson Button finished the morning session eighth fastest, and only 13th fastest in the afternoon Session 2, as Honda’s Masahiro Saeki confirmed that the team were prioritizing tyre development over outright speed. But the man who’d set the pace in the morning for Nissan was Daiki Sasaki aboard the “Blue Car”, the #12 Calsonic Impul GT-R, with new co-driver James Rossiter. 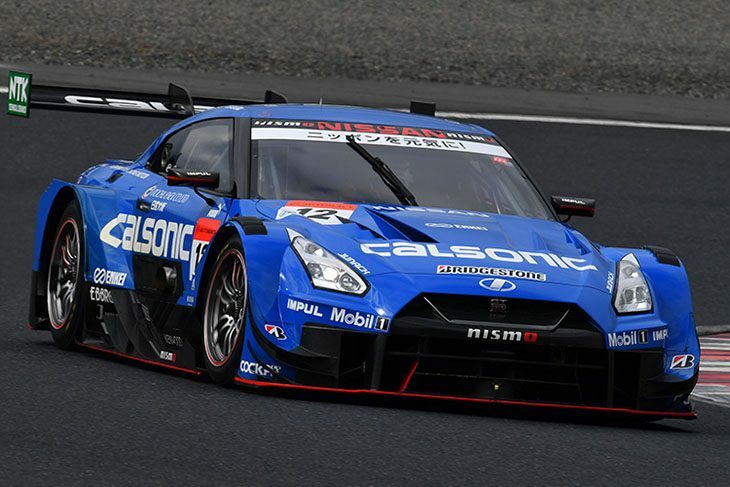 Amidst all the massive changes at Nissan in the GT500 ranks, Sasaki, one of the few drivers who hadn’t switched seats for 2019, was far and away the pacesetter of the field with a lap time of 1’17.852. Encouraging signs for Nissan as the “Red Car”, the #23 Motul Autech GT-R (Tsugio Matsuda/Ronnie Quintarelli), finished second, with the #6 Wako’s 4CR Lexus LC500 (Kazuya Oshima/Kenta Yamashita) ending the session in third. The afternoon session started at 14:30 JST, but a sudden rain shower left the track almost in identical conditions to the start of the morning session – which meant that it would take until the second hour, with the track temperatures now up to 17°C, for there to be any chance of teams improving on their benchmarks from the morning session. 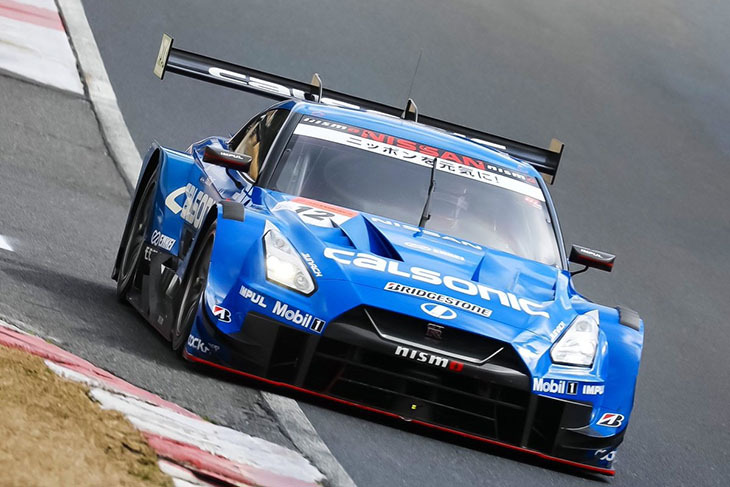 Sasaki and the Calsonic GT-R were once again the force to be reckoned with. In the second hour, he clocked a time of 1’17.874. It looked as if that time would remain unbeaten even in the final ten-minute “happy hour” runs at the end of Session 2. But with just a few minutes left on the clock, Sasaki lit up the track with fastest first and second sectors and set an outright best time of 1’17.161 – nearly a second up on the official GT500 lap record set in 2016. As Kazuki Nakajima was in Sebring, Florida, coming down from his victory in the WEC 1000 Miles of Sebring, his Lexus Team au TOM’s teammate Yuhi Sekiguchi was leading the way for Lexus and Toyota at Okayama, finishing 2nd overall on Day 1 with a best time of 1’18.058. 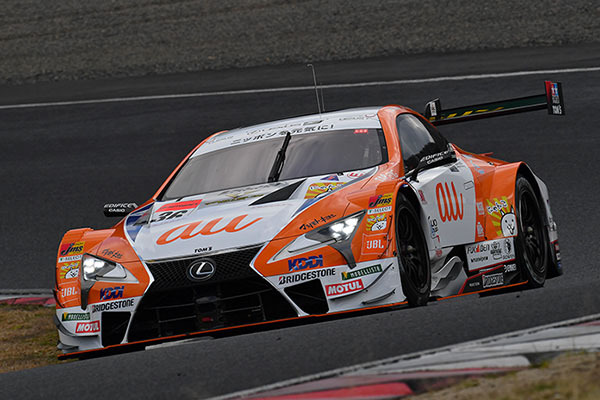 The #38 ZENT Cerumo LC500 of Yuji Tachikawa & Hiroaki Ishiura, the latter of whom was stuck in traffic on the way to the circuit this morning, came home in third. Completing the overall Top 5 for Day 1 were a brace of Nissan GT-Rs, the new-look #24 Realize Corporation Advan GT-R (Mitsunori Takaboshi/Jann Mardenborough) in 4th, then the Motul GT-R of Matsuda & Quintarelli. The best of the Hondas were the defending Okayama 300km race winners, Keihin Real Racing, whose #17 Keihin NSX-GT of Koudai Tsukakoshi & Bertrand Baguette finished 7th overall on the day. 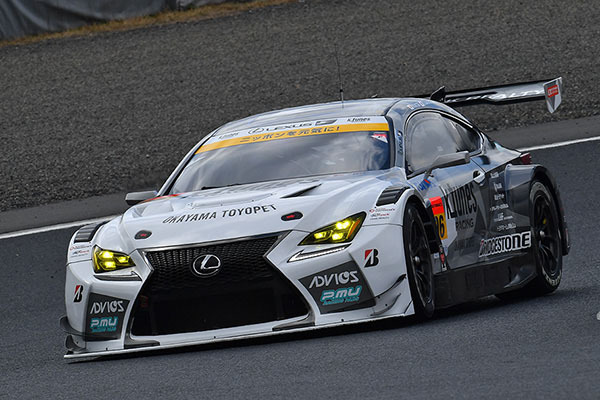 In GT300, all twenty-nine cars were on hand, and of them, local favourites K-Tunes Racing, sponsored by Okayama Toyopet, were looking to make an immediate impression. 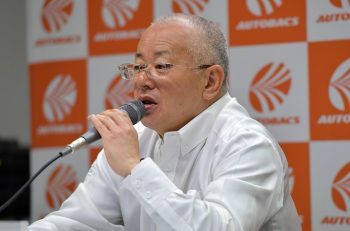 Three-time GT300 champion Morio Nitta – 52 years young, led the way in Session 1 with a best lap time of 1’26.208 on his Bridgestone-clad #96 K-Tunes Lexus RC F GT3, and his rookie teammate, 19-year-old Sena Sakaguchi, was one of the many new GT300 drivers who passed their compulsory rookie test. It looked as if the K-Tunes RC F would complete the sweep of both sessions as Nitta improved in Session 2 with a best lap of 1’25.913. 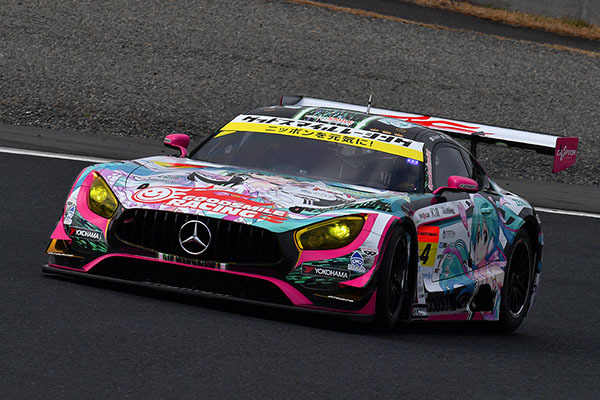 But in the GT300 cars’ ten-minute sprint to the chequered flag, another three-time GT300 champion, Tatsuya Kataoka, took the #4 Goodsmile Hatsune Miku Mercedes-AMG GT3 (with Nobuteru Taniguchi) to P1 with a 1’25.867, Kataoka edging out Nitta by just 0.046 seconds in the end. The #2 Syntium Apple Lotus Evora MC (Kazuho Takahashi/Hiroki Katoh) was the best of the Mother Chassis runners in third, followed by the Bridgestone-clad #52 Saitama Toyopet GreenBrave Toyota Mark X MC (Shigekazu Wakisaka/Hiroki Yoshida) in fourth, and the #25 Hoppy Toyota 86 MC (Takamitsu Matsui/Kimiya Sato/Takeshi Tsuchiya) in fifth. Right behind them, the debuting #7 D’station Aston Martin Vantage GT3 (Tomonobu Fujii/João Paulo de Oliveira) led the new GT3 machines in 6th, three-tenths ahead of the best time from the #720 McLaren 720S GT3 (Seiji Ara/Álex Palou) in 15th. Sunday testing begins at 9:15 AM JST (local time) with the first of another two sessions, where more of the same wet/dry conditions are predicted in the forecast.